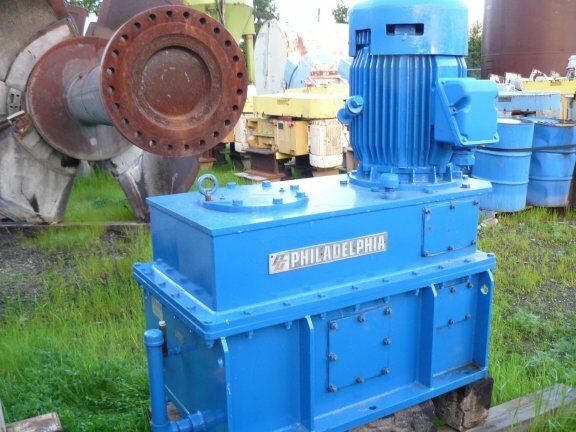 Philadelphia 75 HP agitator, model PVE-115. 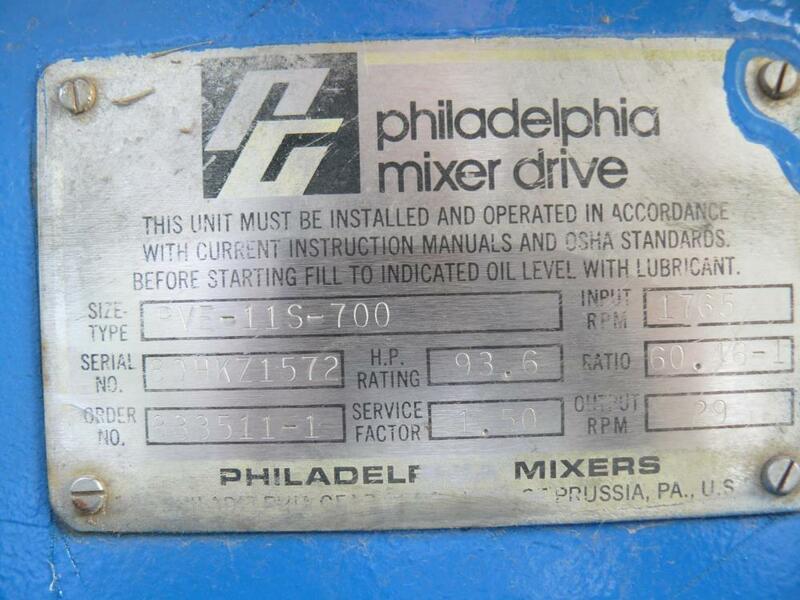 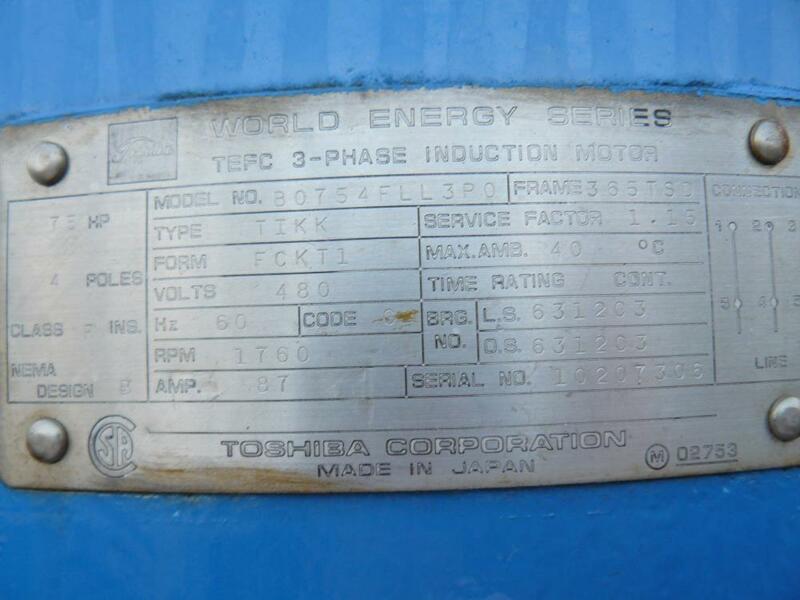 Each complete with 75 HP, 1765 RPM, 480 volt, frame 365TSD Toshiba motors, gear ratio 60.46:1 with final RPM output at 29 RPM. 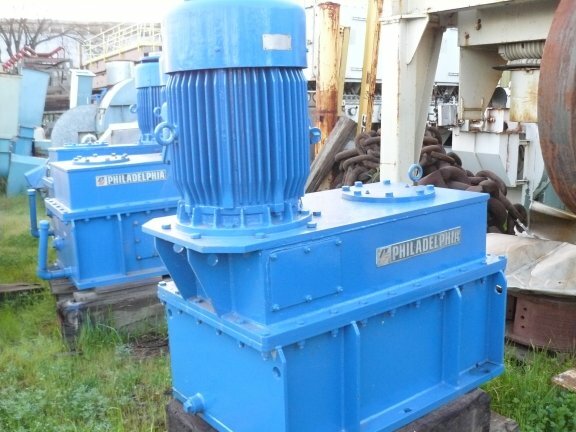 Last used in agitated tanks measuring 16' diameter x 30' high, now gear box and motor only.